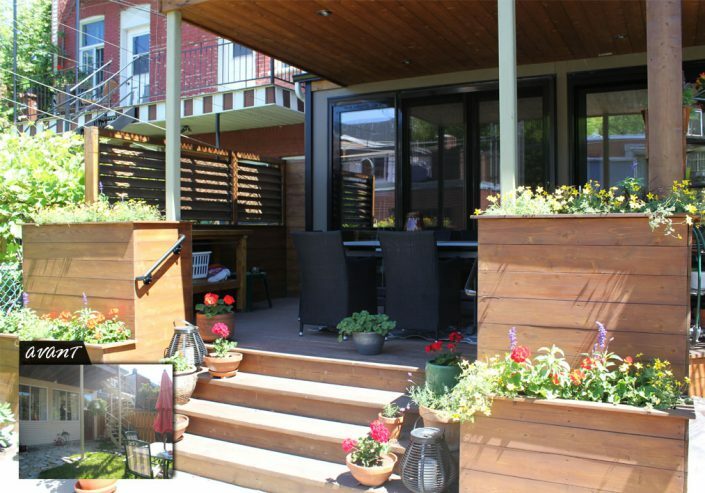 Be inspired by this outdoor terrace construction project for a Montreal home. You too can benefit from our experience as a general contractor in residential construction and our turnkey construction service. Call us for a free consultation! 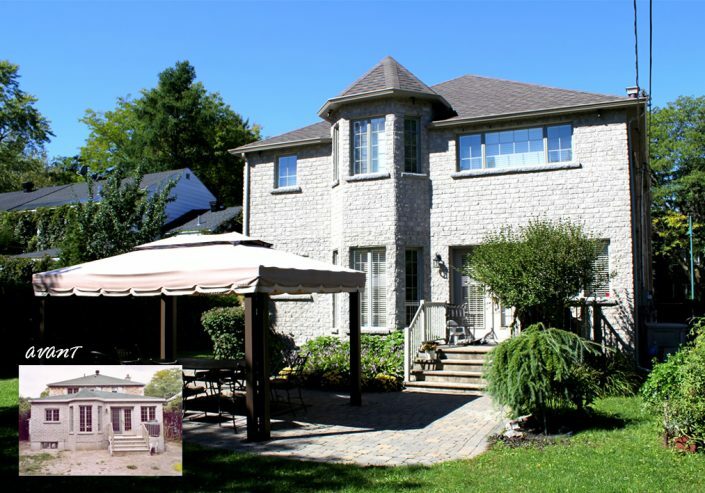 It is with great pride that we realized this project to build an outdoor terrace for a couple living in Montreal. 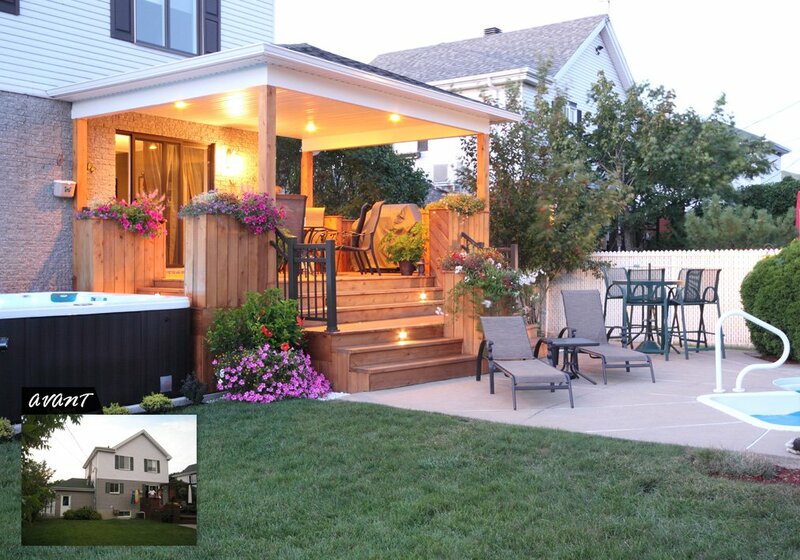 They wanted to be able to enjoy their backyard more and to have a relaxation area that looked like them. When designing the project, we opted for a raised terrace anchored to the house. First, we excavated the land to add concrete pillars to provide a solid base for this terrace. 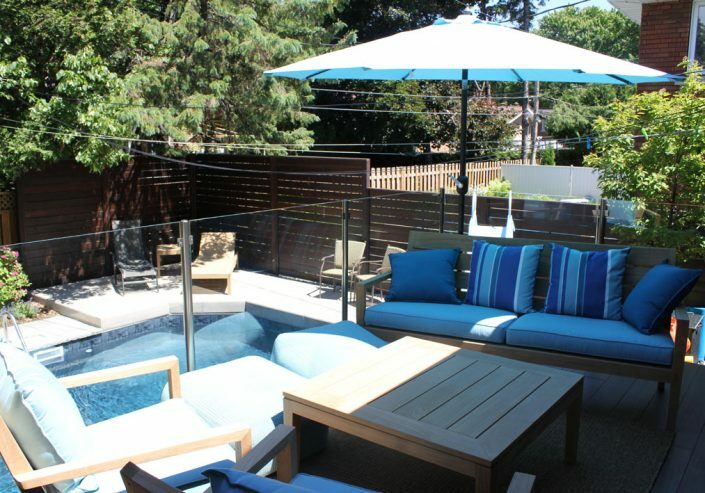 Our client wanted to have a space large enough to accommodate 4 to 6 people, in addition to a barbecue. We also built a wood frame and then a roof to protect the terrace from the sun and rain. Our team of electricians made sure that an electrical circuit was installed so that the terrace was well lit at all times. The Construction Précellence team opted for a treated wood floor that is easy to maintain and resistant to rain, wind and heat. This open terrace is accessible by two stairs with flower boxes on two of the four sides. Light bulbs have been built into the stairs for added safety when the evening comes. Finally, we added wrought iron handrails on one of the stairs. Before the end of the project, our clients purchased a spa to complete their outdoor relaxation area. As a general contractor specializing in residential construction, we have taken charge of every step of this outdoor construction project. To do this, we have established partnerships with electricians, architects and exterior cladding specialists to ensure the success of this project. 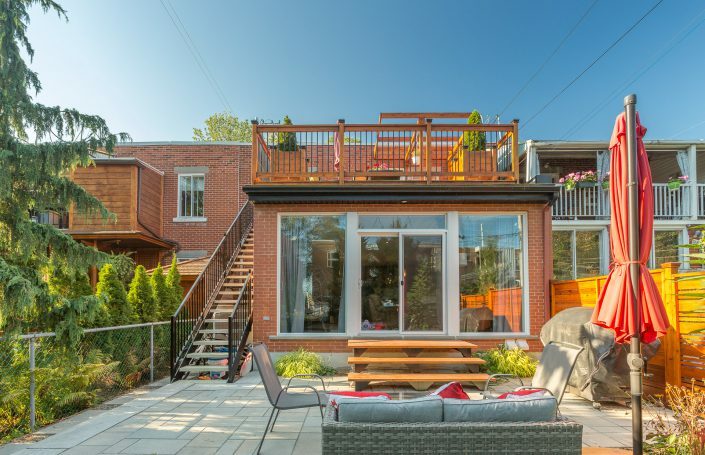 If you would like to know more about this outdoor terrace construction project on a Montreal house, our turnkey residential construction services, our prices, or our services, we invite you to contact us by email or by phone. Your first consultation is free of charge! Our team will be happy to welcome you and answer your questions.